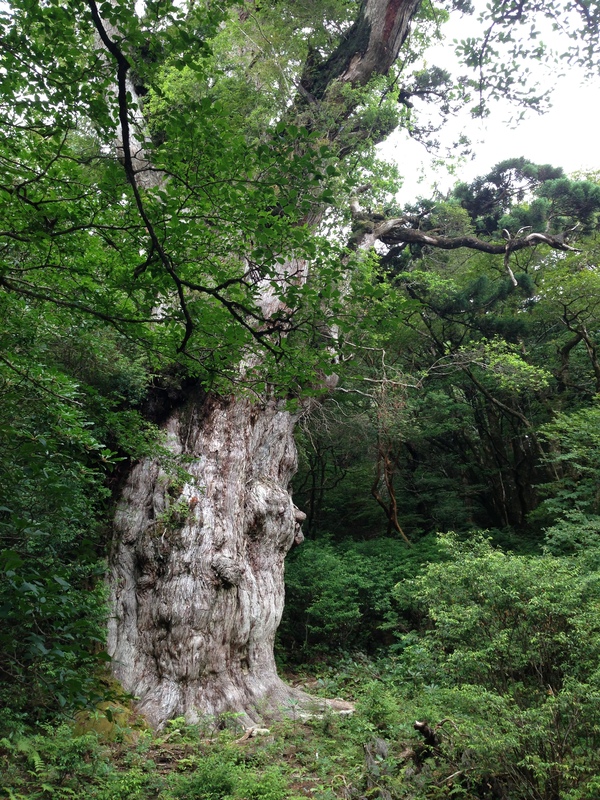 The Jomon Sugi, “cedar tree from the Jomon era”, is on Yakushima, a small island in Japan. When it first started to grow, human beings were still in the Stone Age. Pictures of the forests seemed other-worldly to me. So, thanks to gracious, meticulous planning by my wife, I set off to meet a friend and hike through a magical place. 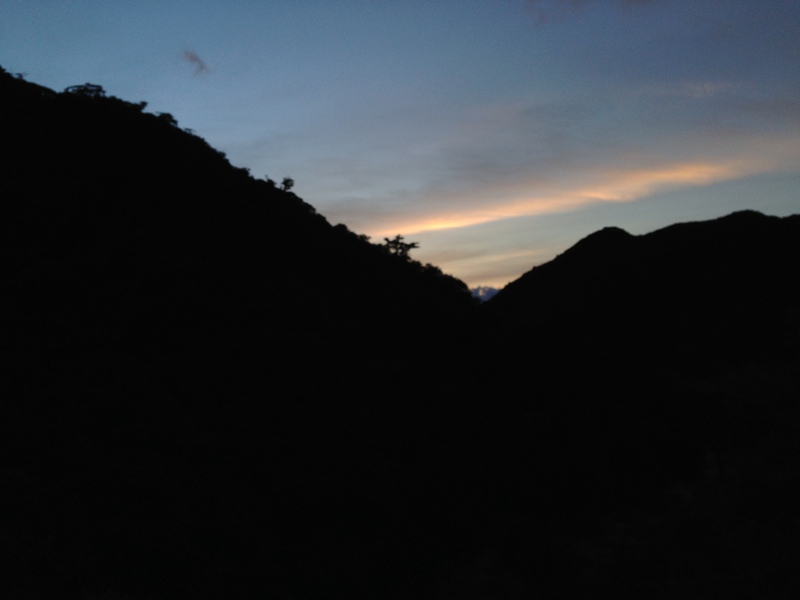 In addition to observing natural beauty, I experienced elements of a culture I’d like to see inside more corporations. 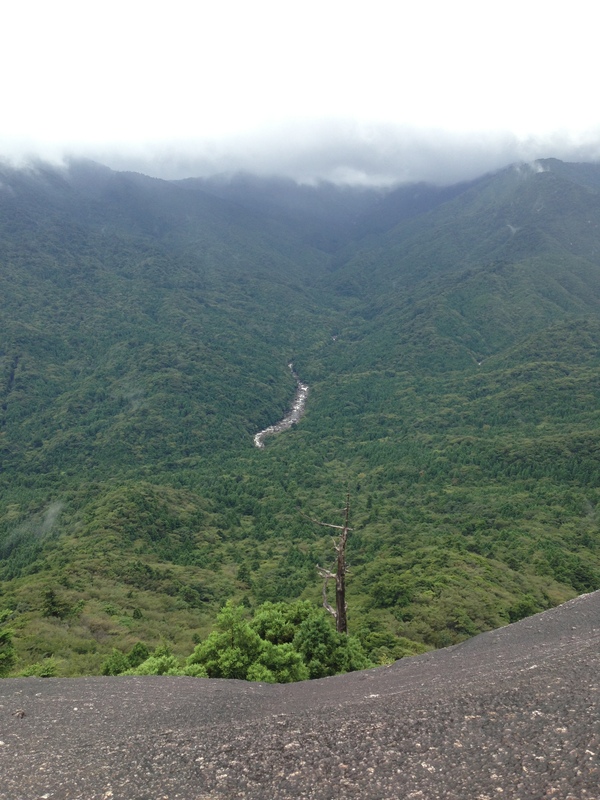 My trip from Kobe to the Yakushima mountains and back involved trains, buses, vans, planes, and a ferry. Every single one was on time – to the minute. And it wasn’t just the vehicles, but the people in them. Though we had to leave our hotel at 4am, our guide was on time as were the 2 other hikers in our tour as was every one of the 50+ people who had reserved a seat on our bus. It might seem counter-intuitive, but things are less rushed, less stressful, when everyone and everything is on time. And when you don’t waste your time waiting for things, both your mood and and your productivity improves. After our first meal, I asked our guide “Where do we put our garbage?” “Motte kite,” he said. “You bring it with you.” The idea was to leave the mountain as untouched as possible. Extra miso soup? Drink it or carry it. Need to use a toilet after you’ve past the last one? Bag it and bring it back down. It’s why the small island is so pristine despite 300,000 visitors a year. We showed respect for the inside environment, too, by removing our shoes and putting on slippers before we entered the hotel or onsen. Even before using a toilet, we’d remove our slippers and put on yet another pair of shoes. Besides the hygienic benefits, these simple actions made you more mindful about where you are and where you’ve been. Throughout the trip, I noticed how everyone was so polite and helpful, mindful of how their actions might affect others. We never once worried about our things being safe. There was never jostling in line to get a ticket or to take a photo at a particularly beautiful spot. One sign of respect I found particularly charming was how hikers acknowledged each other up and down the trail. I must have heard and said “Konnichiwa” a thousand times. A smile, eye contact, and that simple verbal handshake contributed to an atmosphere of good will, reminding us of our shared purpose and shared humanity. There isn’t any tipping in Japan. We paid the listed price for the tour and didn’t have to think about money for the rest of the trip. So when a guide offered us snacks (like the surprisingly delicious salted seaweed “shio kombu”) I was able to accept them more readily. 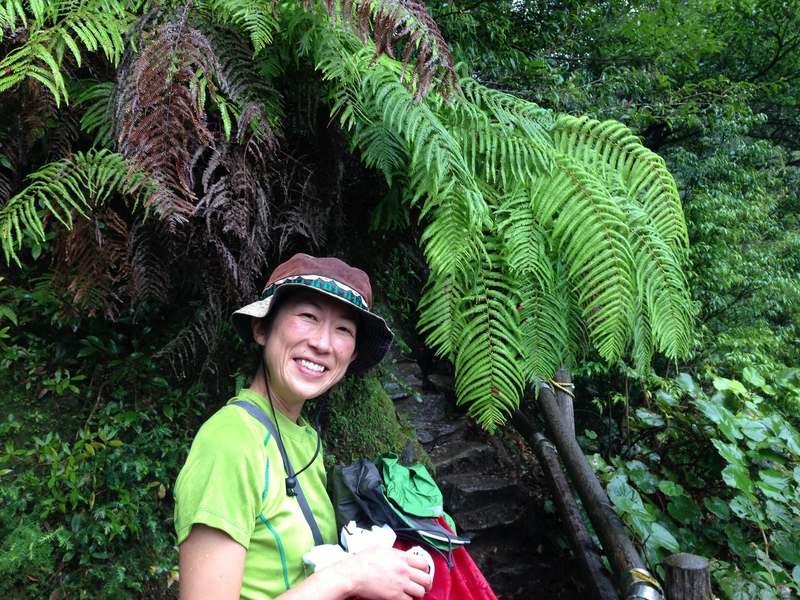 When they provided advice on things to wear or other trekking options, I wasn’t wondering “Is she trying to sell me something?” Since extra money wasn’t a motivation, I was able to appreciate and respect their contributions all the more. After about 7 hours of walking, our guide asked us, “Are you up for taking a different route that’s a bit longer and more difficult?” The honest answer was “No.” But each of us was a bit too embarrassed to say so, and we agreed to take the other path. Off the main trail, there were no other hikers and the forest seemed even more mysterious. After a steep climb, we entered a small clearing where some deer were grazing. Everything was so quiet. We sat with them for fifteen minutes or so, hushed, simply enjoying being present, being happy. It wasn’t just luck, of course. The guide knew the spot well. And everyone in our group was in good shape and, aside from me, well-equipped. (Thankfully, my friend made up for my unpreparedness.) I noticed how the planning and preparation wasn’t just for efficiency, it was for agility, allowing us to take advantage of opportunities we’d have otherwise missed. The forest is rich in cedar trees, ideal for making shingles. For hundreds of years, logging was the primary economic activity and whole areas were cleared. 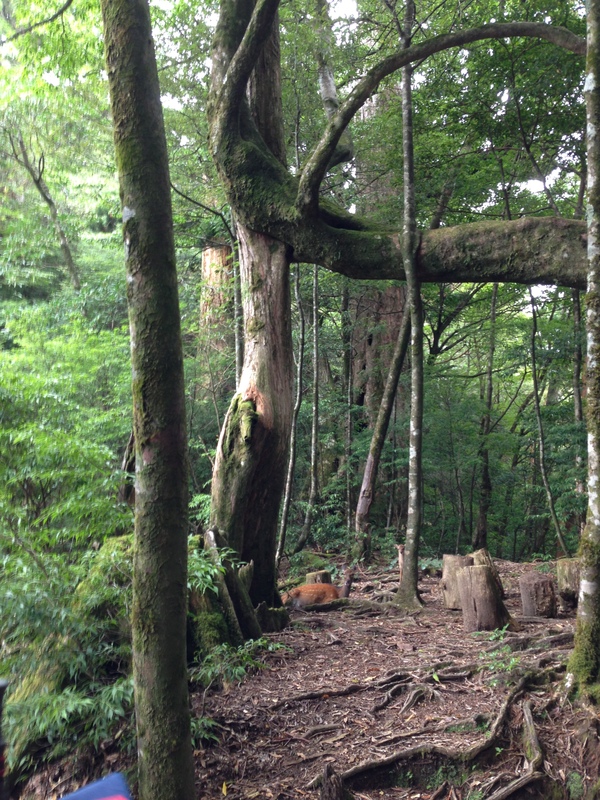 But in the late 1960s, around the time they re-discovered the Jomon-sugi, they stopped logging and began reforesting and reseeding the mountains. Now, almost 50 years later, the once-cleared valley in this photo is full of trees. Now, a sizable part of the mountains is a World Heritage Site, and tourism comprises 50% of the economic activity on the island. Could your corporate culture be like this? How does everyone seem to share these values? There weren’t posters at the elevator telling you to have respect for time and for people. Instead, those behaviors were embedded and reinforced by how people spoke to each other. By actions large and small like when they showed up on time. By visual cues and shared rituals, like the slippers at your door, reminding you. And by social support, like having parents, teachers, and guides who share their knowledge and traditions. Now, think about where you work. Do people meet their commitments, including being on time for meetings? What’s the condition of the pantry, restrooms, and other shared spaces? Do people greet each other and smile in the elevator? Do you question people’s motivations for even simple gestures? Does all your planning result in bureaucracy or allow you to be opportunistic? Is all the work focused on just the next 6 or 12 months? 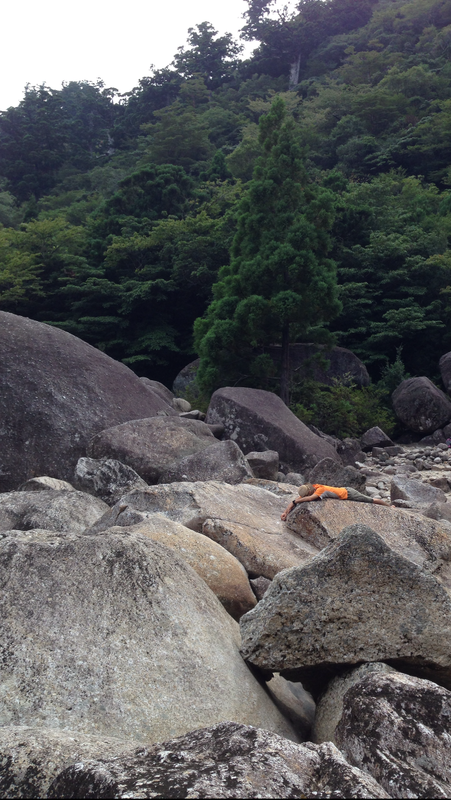 What struck me over this weekend in Yakushima was how simple and universal the positive cultural elements seemed to be. And how difficult it was to achieve anything nearly so positive inside big firms even when they had more resources. If you have a corporate culture program at work, are you relying on just words to change things? Or are you doing much, much more to shape behavior in a positive way? This entry was posted in Management and tagged changing habits, corporate culture, culture, japan, management. Bookmark the permalink. What a beautiful experience, thank you for sharing it with us. I love the connections you made between what you observed and what could be possible in business cultures. Mindfulness, respect, compassion… yes. Nice article John. I lived in Japan for five glorious years. It is, without a doubt in my mind, the most civilized place I have ever experienced. One word sums it all up, I think – Respect. If we had more of that in life and at work – at all levels – our lives and jobs would be that much richer. Thanks, Ray. While I love Japan and much of the Japanese culture, I can see its flaws as well. 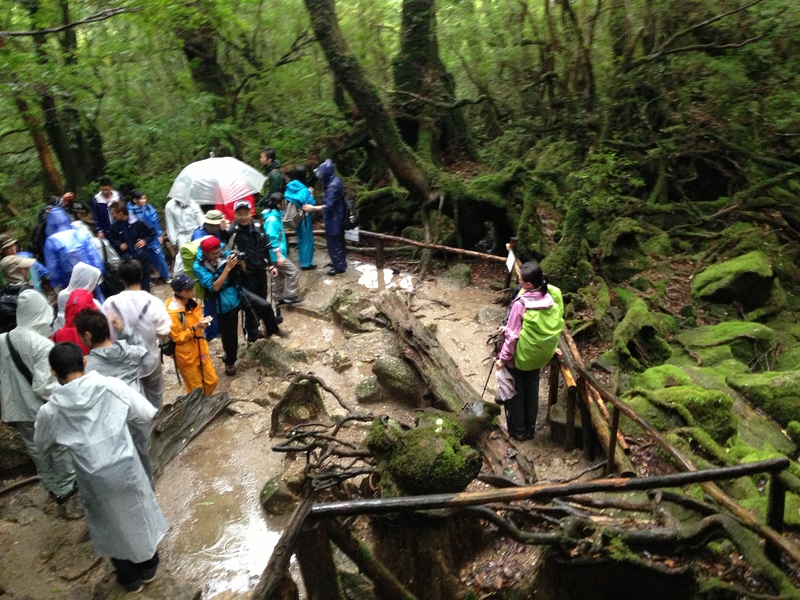 That’s why my point isn’t that companies should adopt the culture of Japan (or of hikers, for that matter) but that we can pick out some very positive elements as well as ways to spread them. Just love this post, John. Thank you for sharing your journey to such an impressive and magical place. Feel like I was on a trip there vicariously. And your wise and practical lessons from Mother Nature, the great teacher, and from the Japanese culture, so respectful of others and seemingly so harmonious, offer much to admire and adopt. There is much to think about. Thanks, Fayaz. What I’ve seen is that most executives actually are already sold on the need for a positive culture, they just don’t know where to go after they draft the values statement. One point I try to make is that changing culture is like changing behavior. You need to tap into all 6 sources of influence while using a range of cues, rituals, and support structures to help it spread. Places I’ve worked at have taken a top-down approach to creating corporate culture. It’s a, “We (the management) will tell them (the employees) how it (the culture) is and then they’ll do it (perform that culture)” approach. Simplistic? Yes. And not how every company does it -OK. But this is how the companies that I’ve worked with have gone about it. Thinking of culture in this way is odds with what I learned at school and what I’ve experienced- that culture emerges and is shaped by individuals performing it at a grass-roots level. I’ve seen management way up there trying to set the ‘tone’ of culture (cue “Hey, respect each other more!” signs in the elevator lobby). Certainly this is one way to go about it. And it probably works to some extent. But how about paying equal attention to the every day interactions – and calling them out? You interact with me this way, I interact with you that way in return, it works – hey – whaddya know, we’ve just impacted the culture in a positive way, perhaps. Let’s note that, share it with the team and let others know what we did and the good that came of it. And let’s do that again. Perhaps management could spend equal time with a bottom-up approach, paying attention to the micro…calling out and celebrating those instances in which the preferred culture is being performed at the local level. What do you think? Can you think of other reasons? Beautiful. Konnichiwa to you as we pass on the path to creating something better. Always a pleasure to read yet another one of your observations on social dichotomies, John. Apologies in advance for writing such a long comment, yet I hope that my thoughts may be pertinent to some of your other blog posts which also challenge corporations to encourage positive behavior. My naïve belief as a child that Japan or any other foreign country would be THE perfect place to live (mainly because of its contrasts), was defeated soon after I learned of Japan’s War crimes http://en.wikipedia.org/wiki/Japanese_war_crimes. As Socrates said, “the secret of change is to focus all of your energy not on fighting the old, but on building something new”. So after endless frustrating debates about the obvious geographical, historical, cultural political, and social factors, I concluded that trying to change the world was useless. Instead, I now focus my energy in figuring out how to ingrain the positive feeling of RESPECT for people, for ideologies, for the planet and for tradition, both in myself and in others who cross my path. The rigid determination that characterizes the dark side of Japan has the same inbuilt discipline as the practices aiming to reach enlightenment. Zen approach to life is everything but resources, fast food, fast cars, fast communication, fast life. So when you ask: “How does everyone seem to share [such precious] values?”, I would say that it is by discipline and indeed by social support from parents, teachers, and role models who were taught the importance of sharing their knowledge and traditions. then the secret to “shape behavior in a positive way” might well be to continue on doing exactly what you are already doing so well: leading by example and encouraging collaboration and Respect for all those values. If corporations rewarded employees who demonstrated positive forms of behavior (in a similar way myDB rewards members with anything from a like to a well desired accolade), they would certainly have a huge impact in paving the way for more caring generations to come, as discipline is in fact craved by all human beings. Would you agree?